Polished concrete has been one the hottest trends and fastest growing markets within the concrete segment over the past couple of decades. And for good reason. The benefits and advantages of a polished concrete floor over alternative floor coverings are incomparable. Concrete is already there; no need for additional, costly floor coverings. Lower maintenance costs; less vulnerable to damage, easier to clean, no need for waxes and cleaners. Energy savings – a high light reflectivity can actually help reduce energy costs by minimizing the need for artificial lighting. It’s stain and moisture resistant. Versatility and aesthetic appeal – Concrete can be polished to varying levels, enabling a level of sheen that best suits the aesthetic or functional needs, from satin to high-gloss. And not only does polished concrete work well with stains and dyes, but many applicators are doing amazing and creative things with designs as well. Sustainability – Normal wear actually self-polishes the surface, requiring no additional hazardous coatings, cleaners, waxes, etc. Healthier/cleaner – reduces the dust, dirt, allergens that other flooring options can attract. And as a relatively new process, we’ve seen constant innovation in processes and techniques, products and materials, and the market and demand to match it. 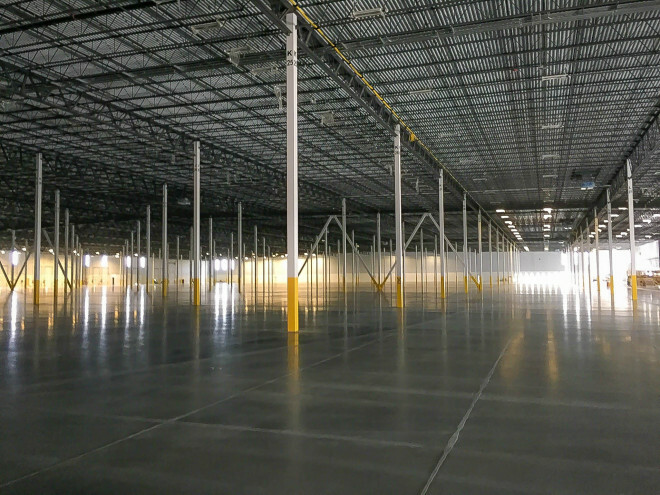 From residential and retail to industrial and commercial warehouse and distribution centers, polished concrete surfaces have become a logical, go-to flooring solution for those looking for outstanding value over competitive floor coverings. 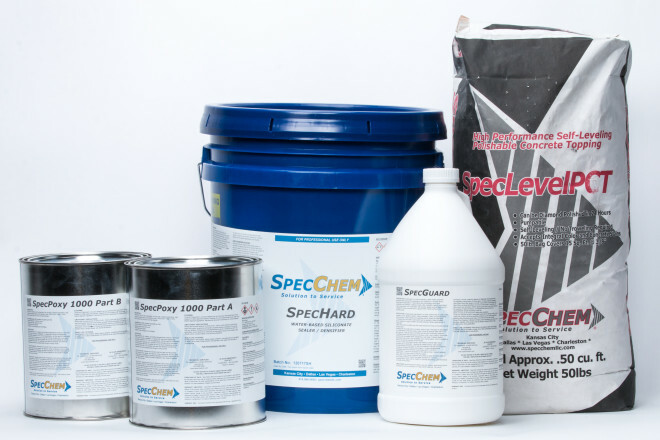 Our SpecChem Concrete Polishing System was created for professionals looking for a cohesive and versatile system that adds value to each and every flooring project. Our integrated line of professional high-performance concrete chemical and cementitious products are especially formulated to provide a highly-compatible system of building materials developed specifically for the polishing process. A two component, low viscosity, moisture insensitive, high modulus, structural epoxy bonding adhesive and crack injection resin. 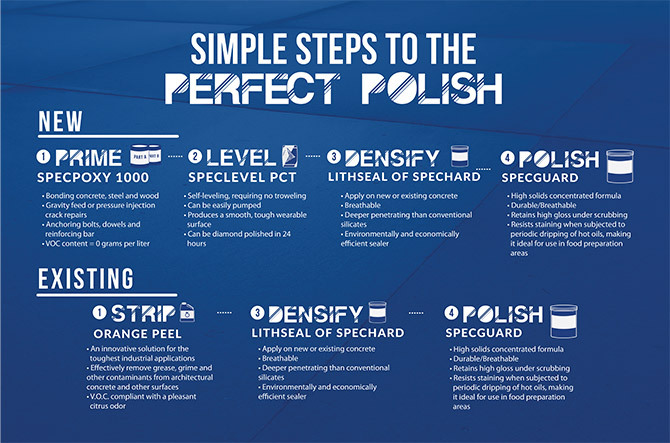 A cement based, self-leveling polishable concrete topping that produces a dense hard surface that can be diamond polished in as little as 24 hours, interior or exterior. A premium lithium silicate sealer/densifier for concrete surfaces formulated to deeply penetrate and react with cured concrete. A proprietary, colorless siliconate solution that penetrates concrete surfaces to seal, densify and harden them. A multi-component, water-based polymeric protectant that incorporates a cross-linking nano-technology to aid penetration and adhesion and create a tough, stain-resistant coating.